Last edited by steelies_R_US; 05-20-2008 at 07:58 PM. Mike Im gonna miss you, I will never forget you. My prayers are also with the family! Thoughts are with his family! Oh no, that's sad to hear. Never met him but always enjoyed his posts and pasion for fishing. Prayers are with his family. Darn, that's very tough to read. 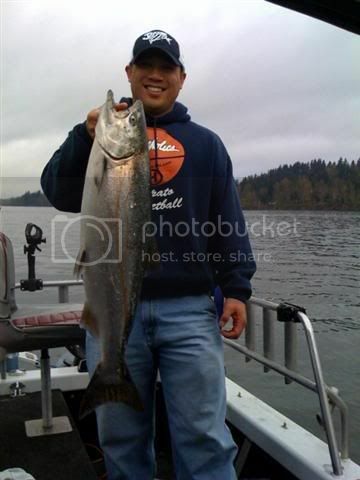 Rola76 was a valued IFisher and always seemed to have positive vibe in his posts. My prayers are with his family and friends. I'm so sorry to hear this. ing for his family. While I never met him, I also enjoyed his posts. He posted just this morning.....sad. My condolences and prayers for friends and family. It's always a dark day when we lose one of our own. This is a shock! Always enjoyed his postings here and his contributions to the board. Never met him but he was on a list of folks that I would like to have met. Bummer, I really enjoyed his posts and hoped one day to get a chance to fish with him. "Fish every cast, it may be your last"
Wow - life is short, live every minute of it... I am sorry to hear this. I'm going home to hug my kids. It is better to say, "This one thing I do" than to say, "These forty things I dabble in." So sorry to hear of this. I always enjoyed his posts and he always had a great positive light about him that I am going to miss deeply. What a horrible ordeal, anyone know what happened? To be taken in the absolute prime of his life... WOW... That's just too much to bear. Based on the upbeat posts he shared here, I've always thought, "Now there's a dude I'd like to fish with someday." I agree with Shane, gonna go home to hug my kid(s). I really need to make more of an effort to call them more often. Life is already too short as it is without a tragedy like this bringing it to an even more premature ending. How sad! Mike, I love your storys here On Ifish! You were a very positive young man! I always read your post! You will be missed! Praying for family and friends! Wow, that is a complete shock! Condolences to the family. He will be missed here, and everywhere I am sure. TOC. Last edited by fishbenk; 05-21-2008 at 08:56 AM. Oh, man. I'm sorry to hear that. I just met him briefly that one time, but he made a big impression on me. Good, good guy. very sad to read. 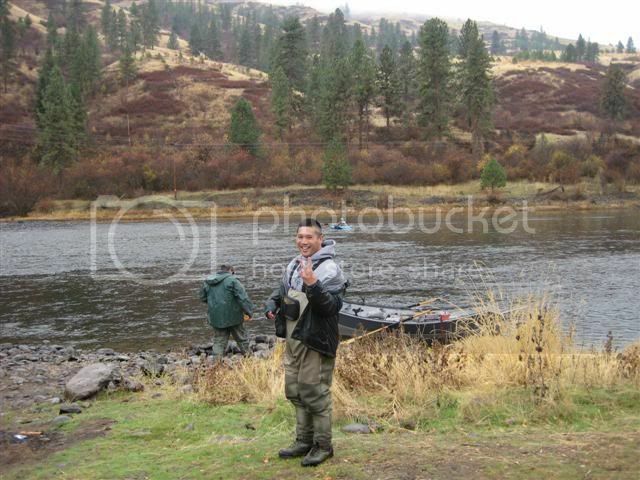 he seemed like a great guy and a great fisherman... sorry I never got a chance to fish along side of him.. I wish his friends and family all the best in these very tough times ahead.. I have no clue what to say. I'm just in shock. Prayers for the family. No words come out. He was always really helpful to me when I had Drano Summer steelhead questions, geeze he could put on a clinic out there on summers! Join CCA Today, and Put a stop to the commercial overharvest of salmon! 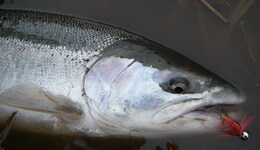 and steelhead!!!!! I'm just so sad. It was a household name on ifish, although I didn't know him well. You just kind of think of people as family, round here. This one is for you bud!!! Hope to fish with you on the other side and save me a spot!! 100ton Master Mariner/Captain of "Reelentless"
Way too young to go, how sad. I also enjoyed his positive posts. My condolences to his family. Very very sad day. My prayers are with his wife and family. Mike was a GREAT guy and will be greatly missed. Here is a couple pictures of some trips we had this year, he always had a smile on his face. I'm shocked and so sad. My condolences to his family. I met him briefly at Drano. Right away I knew he was one of those guys. You know them, we all have one of them in our lives. The ones that as soon as you have a conversation with them you knew you gained a good friend. Sad so Sad! ps. Matt I'm so sorry to hear about your friend he will be missed. That's just very,very sad news. My prayers to his family. and this truly is a sad day for all Ifishers. "I will be the first to admit that I am not a great fisherman,however my wife says I can net pretty good"
When I met Mike last year at our tri-cities IFish get together his outgoing, joking personality stuck out among the crowd. 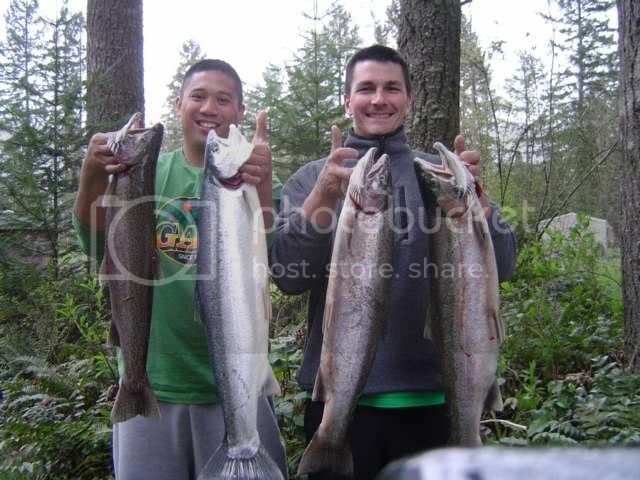 It's to bad I never got to fish with him, but the many times we fished right next to each other was always fun! Make shure and get those fish up there dialed in for us Mike! I am at a loss for words. I just spoke with a couple of days ago. I have never met a nicer guy. My thoughts and prayers are with his wonderful wife and family. What a sad thing to happen . I didn 't know him but sent him a pm last year and he gave me a great report about the John Day area . All children are gifted... some just open their packages sooner than others . Just knew him from his posts as well and it really does feel like loosing a friend. I'm shocked.....rest in peace brother. So very sad. I feel like I lost something in never meeting him. Very sad day for sure. What else can you say. My prayers for him and his family. Scott and I met him at the sportmans show and was a pleasure to meet and chat with. We're definately ing for him and the family. Always respected his posts. He will be missed. Can you m-o-o-oan the Blues? Can you bend them guitar strings?" Mike's post, and replies were always upbeat and informative.....a true fisherman......a sad day. This is such horrible news. It's moments like these where we need to honor the fallen, by strengthening our relationships and forget what divides us and focus on what unites us. Sadness washes over me. I need a hug. It's pretty difficult to keep your mind and your mouth open at the same time. WOW what a loss he was all class, I�ll miss his posts and upbeat style and seeing him at Drano for summers. May God Bless them and be with them in this tragic time. I'm completely in shock.. many of you knew this guy... I just wish I would have met him.. I too enjoyed his posts. Prayers to his family and friends. Anything I can do ... please don't hesitate to ask. My prayers go out to Mike's family and friends. very sad. we have all just lost more than we probably know. My prayers will go out to his friends and family. I never met him but ejoyed his participation in the board. He looks like a very young man and departed way to early.